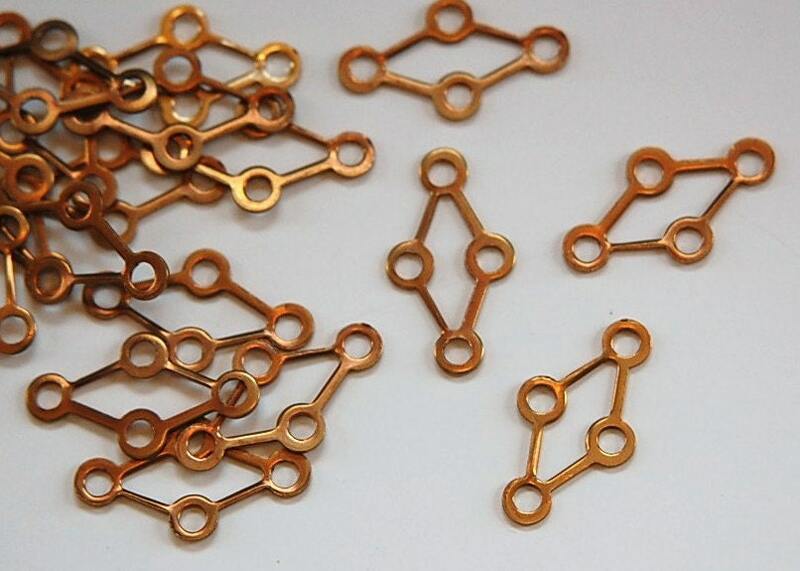 These are raw brass findings that are made in the USA. They have a diamond shape with a hole at each point. These measure 21mm long X 12mm wide. You will receive 8 pieces. I have these in a smaller version.